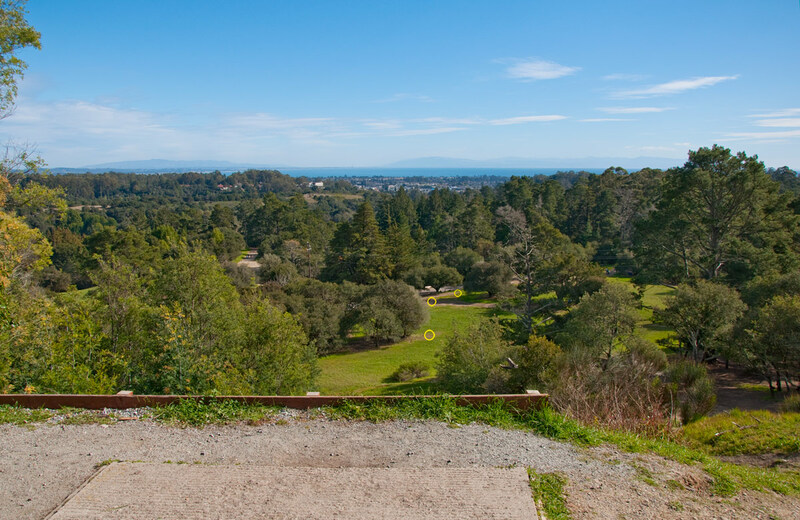 Every year in April, Santa Cruz, CA is not only the ‘Epicenter of Disc Golf’ – the label we gave ourselves in 1989 after the nearby Loma Prieta earthquake – but the center of the professional disc golf tour as well. 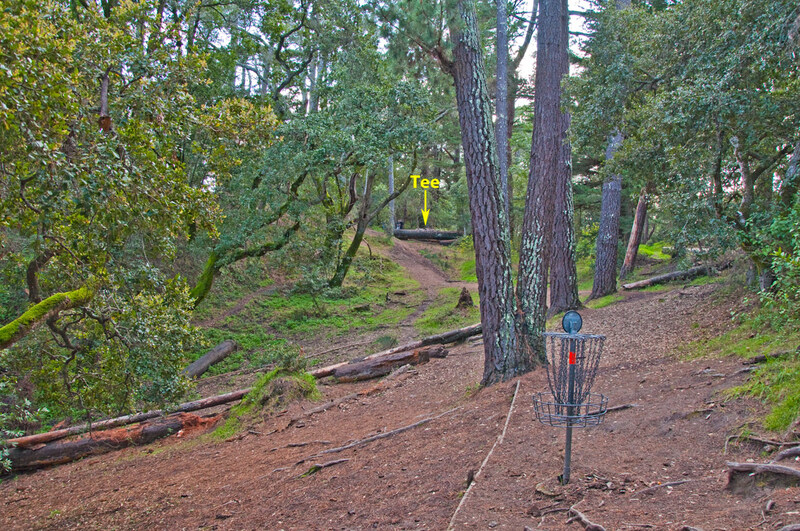 DeLaveaga Disc Golf Course has hosted a National Tour event every year since the tour was established, and the Masters Cup has drawn the sport’s best talent for about 20 years before that. If you follow the tour, you’re familiar with many of this weekend’s competitors. Young Guns Ricky Wysocki, Paul McBeth, Will Schusterick and Nikko Locastro will all be there, as will veteran champs Ken Climo, Dave Feldberg, Nate Doss and Avery Jenkins. And there are plenty of other names you’ll recognize as well, like Philo Braithwaite, Paul Ulibarri, and Josh Anthon. You know all about these guys already, and they’ve proven that any one of them can step up and win on any given week. I’m not about to pretend that I can predict who will win, although Josh Anthon is a Norcal player who knows DeLa well and has come close, Nate Doss grew up and honed his craft here, and Wysocki and Shusterick are good bets too. But this post isn’t about picking a winner. On Saturday, after the first round is in the books, and even Sunday when it’s down to the last 24 holes, there are bound to be some names you don’t recognize on the tops cards. Or rather, you would not have recognized if you hadn’t read this. You’re welcome. And let me state for the record that I’m not ignoring the women’s divisions. It’s just that there is a big separation between the top women and the locals, and there is no chance of a surprise. Kristy King, a DeLa local and DGA-sponsored player, has a chance of finishing in the top third of the field and cashing, but the win will likely go to Sarah Hokom, Valarie Jenkins or Paige Pierce. In the men’s divisions, on the other hand, the combination of a deep pool of local talent and the idiosyncrasies of DeLaveaga as a course that plays very different than most courses on the pro circuit makes for some intriguing possibilities. I’m not saying that any of these guys will win, mind you, just that they can. Look for one or more of the following names on the lead and/or chase cards Sunday, and remember I told you so. Matt Bell- Disc golf is a sport where the best players improve on a super-steep curve, and can go from beginner to world-beater in a hurry. Matt Bell played half of his 15 PDGA events last year in the Advanced division, but this year has been turning heads locally. He won this year’s Enduro (Ice) Bowl at DeLa this year, topping a number of known players, and has the power, savvy, and local knowledge to make a run. Look for him to be in the running at least until the magnitude of the situation hits him- and maybe longer. Shasta Criss- He enjoys a rep as a solid player and great guy on the tour, especially on the West Coast, but Shasta flies below the radar to most pro disc golf followers. He’s DGA’s top sponsored Open Division player and has all the tools necessary to make a run, including a penchant for hitting 50-foot putts. Plus, that name is just meant for disc golf, and it’s impossible not to like him. If you see his name in the mix, feel good about rooting for him. Chris Edwards- Big, easy power and a recent ascent into 1000-rated territory mark Edward’s game, along with a sincere desire to promote disc golf locally and beyond. He’s the coach of the UCSC disc golf team, and if his mental game catches up fully to his physical talents he’ll be in contention. Edwards is a birdie machine when he’s on and simply needs to eliminate or minimize the mistakes. Myles Harding- Like Nate Doss, Myles literally grew up playing DeLaveaga. Longtime NorCal tour players remember that he and Greg Barsby went head-to-head in Juniors, then Advanced, then Open, both winning lots of hardware- but as kids and teens Myles actually won a bit more. Harding, like his dad Rob, has all the shots in his bag, super-smooth form, and the ability to turn in some low rounds. Whether he can string together three of them in a row is the question, but he’s done it plenty of times before. Don Smith- I know firsthand of Don’s tenacity as he beat me once on the 11th extra hole of an epic sudden-death playoff at a local monthly with an 80-foot uphill birdie putt. 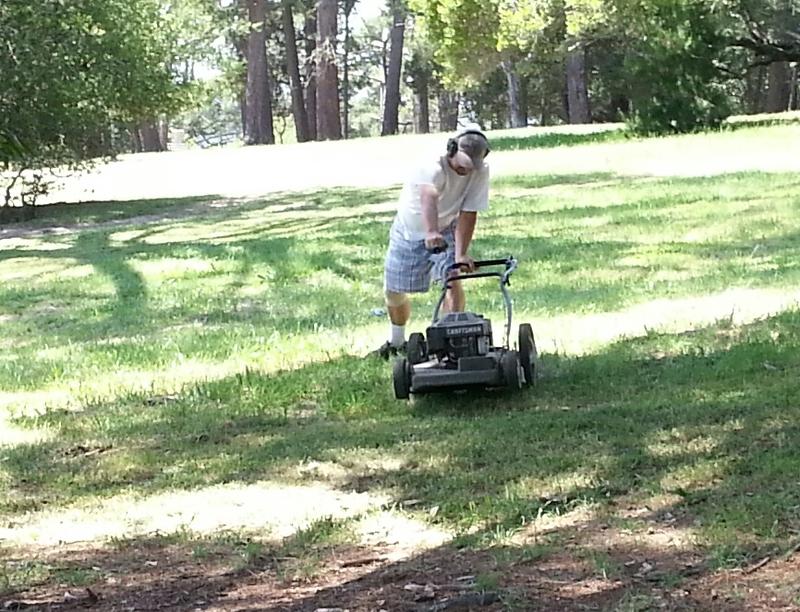 Since then I’ve gotten older and he’s gotten better, making disc golf his full-time occupation. He’s been on tour nonstop for a couple years now, and that and the the fact that he’s likely played 1000 (or more) rounds at DeLa are the reasons I would not be surprised to see Smith in contention on Sunday. He’s got the game necessary to shoot double-digits under each round, and that’s what it will take to win. Tony Tran- I gotta mention Tony because he can show up at DeLa for the first time in nine months and throw out an 11-under. He used to play more than he does now, and he never plays anything but local events anymore (I’m not sure if he ever did) but he’s got game. He’s another guy to pull for if you’re a fan of feel-good stories. If he wanted to put the time in, he could be as good as most of the guys who try to play for a living. Jon Baldwin- This guy won the world championship playing here in 2011, so no one should be surprised if he wins the Masters Cup. Baldwin, DGA’s most marketed sponsored player, is a golfer in the best sense of the word, winning with focus and guile as much as with his sufficient power, steady putting and all-around game. Look for him to be right there all three days in the Masters Division. He’s played three major events this year and taken 2nd place at all three (to Phil Arthur, Ken Climo and Jason Tyra), so he’s certainly hungry for a win on his home turf. The players listed above are all Santa Cruz locals. They call DeLa home. But other participants in the Masters Cup have lots of experience here as well. The aforementioned Josh Anthon and Ray Johnson are NorCal stalwarts, Steve Rico and Philo Braithwaite show up often from SoCal, and we still claim Nate Doss as our own. The cream does in the end rise to the top, and it’s likely the trophy will be lifted by someone you knew before reading this preview. But Santa Cruz has tons of local talent, and more so than at any other NT stop you can expect to see some unknown players in the mix. The Memorial Championship presented by Discraft began yesterday in Arizona. 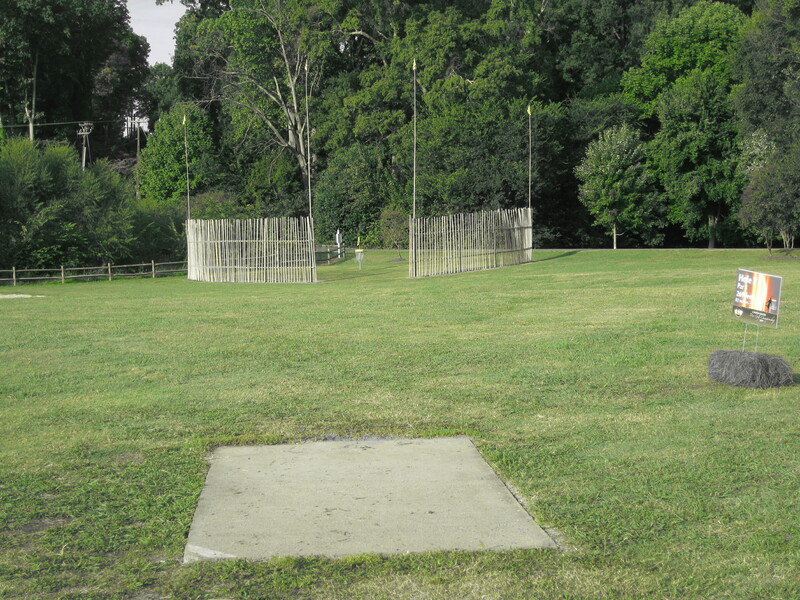 This event marked the beginning of the PDGA National Tour Presented by Vibram Disc Golf, as it has for years now. And because the season’s first major event always holds more promise than others in terms of significant leaps forward for the sport, I tend to watch for a few key indicators to see if this year will be ‘The Year’. Maybe I should stop doing that. But I can’t ‘un-observe’ what I witnessed yesterday via DiscGolfPlanet.tv’s live coverage, so I might as well share some thoughts. First, some perspective: As a big baseball fan I can imagine how exciting it was when in 1939 fans around the country were able to see a live game on TV for the first time. The picture was grainy, and the camera angles limited to wide-angle, overhead shots . . . but they could actually watch a game they cared about without being there AS IT HAPPENED. That’s how most of us feel about DiscGolfPlanet‘s live disc golf coverage broadcast on the internet. The video may be severely limited, the commentators understandably spotty, but we can get the gist of what’s happening. For disc golf fan(addicts), especially those who personally know the competitors, that’s enough. But here’s the rub: For anyone not intimately familiar with disc golf, the things that make the sport great won’t come through the screen. For whatever reason – lack of funding, I’d guess, or possibly ‘first-game’ rust that will hopefully be gone by the end of this event – the network seems to have taken a step backward from last year. There were video/audio syncing issues, lots of fumbling by the various on-camera personalities, and only one camera following the action. Here again, I must throw in the caveat that the phrase ‘bleeding edge,’ which was originally coined in Silicon Valley to describe the pains and sacrifices suffered by tech pioneers, is aptly applied here as well. John Duessler and everyone else associated with DiscGolfPlanet deserve tons of credit for doing what they do. I only hope they can continue to do it with less than 1,000 worldwide viewers tuning in at a time. Aside from the coverage, every time I think of the Memorial my thoughts return to a couple other big issues I have with the National Tour. How can we hold a marquee event on courses that aren’t even closed to other activities, like bike riding and picnicking? Imagine a surf contest where Joe Shmoe from the valley cuts off a competitor trying to catch a key wave. And after playing the event once, in 2003, I still can’t believe an NT event would have players teeing off grass or anything less than the best teeing surfaces- yet I saw just that yesterday. Some teepads at Shelly Sharpe park are actually painted lines on a walking path, and others are rubber pads so uneven that players are allowed to tee from the dirt next to them. I know the Memorial produces a great all-around experience and perennially has a top payout . . . but again, what impression can we expect outsiders to have when they see something that appears so transient? Another issue that’s been on my mind lately – and with Dave Feldberg’s ridiculous -16 for 18 holes yesterday came to the forefront – is the fact that golf is most compelling as a spectator sport when the players are constantly challenged to make par. In ball golf, the courses on which majors are played are made extremely difficult for this very reason. Whatever it takes – more hazards and OB is my guess, since distance doesn’t seem to have much effect – our top players need to be made to struggle more. Par saves are more dramatic than birdie tries, and drama is what makes a sport compelling for spectators. By the way, did you know that the course with the shortest average hole length at the 2011 Pro Worlds, by, far, was famously technical DeLaveaga- yet it produced the highest average scores for each division? Just saying . . . Finally, an observation on one division in the Memorial. Jon Baldwin, who leads the Master division after the first round at -8 with two other trailing him at -4, will be hard to catch. He has the most well-rounded game of anyone I know when you consider all aspects of disc golf both physical and mental, and saying he plays smart golf is an understatement. Getting out to a lead and protecting it was the formula for his surprising World Championship win last summer, so look for him to follow that model to success once again. Practice makes perfect. Well, lots and lots and lots of practice, plus talent, makes almost perfect. But practice does equal improvement, and the more live broadcasts DiscGolfPlanet.tv gets under its belt, the better it gets at it. For the Memorial this week, I noticed that the announcers (David Greenwell, Crazy John Brooks, and the ‘Disc Golf Guy) are getting more comfortable and less repetitive, graphics were added to show hole layouts and player names, and the camera work is much more sophisticated. For their next big step forward I’d like to see some form of instant replay. I hate to admit it, but I craved it most in a Nascar-type moment, when a spotter was hit in the head by a Garret Guthrie drive. The guy got up and seemed okay, so I don’t feel too bad wanting to see it again. But instant replay would be a big deal for an ace or some other type of spectacular shot. Josh Anton must hate pars. He’s a birdie machine, and it seems the only time he’s not carding birdies he’s taking bogey strokes because he can’t stand the idea of not birdying. If he learns how to mix in a dash more discretion into his game, he’ll be THE player to beat. Props to my homie Nate Doss for keeping his cool after the first hole today. He had clawed back to only two shots off the lead after trailing by seven after the first round, and five after the second. The he took at snowman 8 on the first, and dug a hole he just couldn’t climb out of. Still, he showed the poise for which he is known, beating the rest of the group over the final 17 holes and not showing any frustration. The last time I played the Memorial was 2003, and at the time I thought it was bush league that an NT event would be played on a course with grass teepads. I know that Fountain Hills now has those round cement pads, but I still saw the players teeing off grass again today on one temp hole. And I still say it’s bush. If you’re reading this, you most likely are already sold on the awesomeness of disc golf. Likewise, you probably greatly appreciate and enjoy any live video coverage of the seminal professional events of our sport. But if you look at it with a critical eye, you gotta admit that even the best the sport has to offer is pretty amateurish. The Players Cup coverage last weekend wasn’t much better – in terms of video AND commentary (no offense to my pal Billy Crump) than what the average Joe with a single HandyCam can produce. Coverage of the USDGC was a little better, but still failed to convey how disc golf has become a near carbon-copy of the Grand Old Game, with all its nuances and intricate mental challenge. I make this point not to denigrate the efforts of those on the bleeding edge of disc golf promotion, but to stress how tough it is to accurately portray golf of any kind on screen. If you think about it, ball golf events use DOZENS of different cameras in order to create the finished product they broadcast. One camera shows the golfer addressing his lie and striking the ball, another captures the wide-angle shot that shows the ball in flight, and a third is able to show the result of the shot. That’s three cameras required to capture EACH SHOT. Think about the resources needed to cover par 3’s, 4’s and 5’s on an 18 hole course! My point is this: Most of the people that dedicate their time and in some cases financial resources to broadcasting disc golf must be doing so in hopes that it will help to take disc golf ‘mainstream’ as a professional sport. While their intentions are to be commended, the nature of golf – disc, ball, or otherwise – does not lend itself to simple and accurate video representation- without nearly unlimited resources. The projectile (ball, disc), on most shots, travels a good distance away from whoever hits or throws it. And in disc golf, video tends to lose the twists, turns, and other nuances that shows the uninitiated how disc golf is more complex than simply ‘throwing a Frisbee’. If your goal is to take disc golf mainstream, doesn’t it make more sense to always have the uninitiated in mind? Don’t cater to the person who already knows what a great sport disc golf is . . . cater and market to the other 99.9 percent of the population! Until we reach critical mass (and, hint, we ain’t close yet) we should focus on growing the market of players before we even thing about the market of viewers. Will Schusterick and Nikko Locastro are way clear of the field, battling for first. This continues and perhaps accelerates the youth trend in professional disc golf started when Nate Doss captured first at the Worlds in 2006 at age 19 then proved it wasn’t a fluke with another Worlds title and a USDGC title a couple years after that. Some may conclude that players in their teens or early 20’s have the advantage of fresher arms and quicker recovery from fatigue, and that’s part of it, I’m sure. But I know first-hand that Nate also benefited immensely from growing up with the sport, surrounded by numerous talented players in Santa Cruz. As the number of courses and events grow, players that start in childhood are seasoned by the time they are in high school. The trend mirrors that in nearly all other sports. The one possible exception, ironically, is ball golf, although younger players are breaking through there more than in the past as well. If you watched the live webcast on discgolfplanet.tv, you surely noticed the counter that showed how many viewers were watching at any given time. It seemed to range from a low of 800 or so to a high of 1500. Right now, as I write, Nikko and Will are locked in a close battle for first in the final round, and the counter is at 1,187. To me this clearly illustrates that disc golf is still far, far away from attracting the major sponsors that the sport’s top promoters hope will result in much bigger prize money and live TV coverage. As I pointed out last year, those who think we’re close to this kind of breakthrough are ignorant to the development of just about all other sports. Think of it this way: How many people that watch golf on TV have never swung a club? Not many. Golf only became worthy of broadcasting on TV when golf industry advertisers knew that the millions of players and devotees to the sport (who buy golf stuff) would be watching. 1,187 people are still exponentially less than what is required, so the focus should be on introducing more people to the sport. Last year, to watch the live webcast, a fan had to pay a fee. This year, it’s free (although donations are encouraged). I’m sure the logic was that increasing the viewership is the most important goal, and they wanted remove the cost barrier. Did it work? Doesn’t look like it. After having played the course a handful of times last year, I’m really enjoying the webcast this year because I recognize every scene captured on the screen. If you ever get the chance to play the course in the ‘Winthrop Gold’ setup, do it. The video coverage will mean so much more if you’re able to put it in the context of having played it. If you’re interested in reading my posts from the event last year, click here, here, here, here, here, here, here and here. Thanks! Part 2 of ‘Knockin’ on the Wrong Door’, and the latest on Me! The main point of my last post, though I rambled away from it, is this: If the PDGA or John Duessler think that getting 7,000 people worldwide to sign up for a live webcast of disc golf’s most prestigious event makes more than a tiny ripple in the sea of mainstream media and deep-pocket sponsors, they are mistaken. We’re still several levels beneath dog shows and synchronized swimming in terms of public awareness. And this is really just a small example of the larger misconception. I’ve said it before and I’ll say it again: If disc golf ever attains large sponsors and TV coverage, it’ll happen from the ground up, not the other way around. If we find creative ways to get more people playing the sport casually, and more casual players competing in leagues and tournaments, the rest will follow. Last round (for a while) a good one? Today, I see an orthopedic surgeon to finally address my shoulder injury. If he tells me to shut it down for awhile, I at least got one last round in. Yesterday was Gregory’s b-day, and we met at DeLa for a mid-morning round. 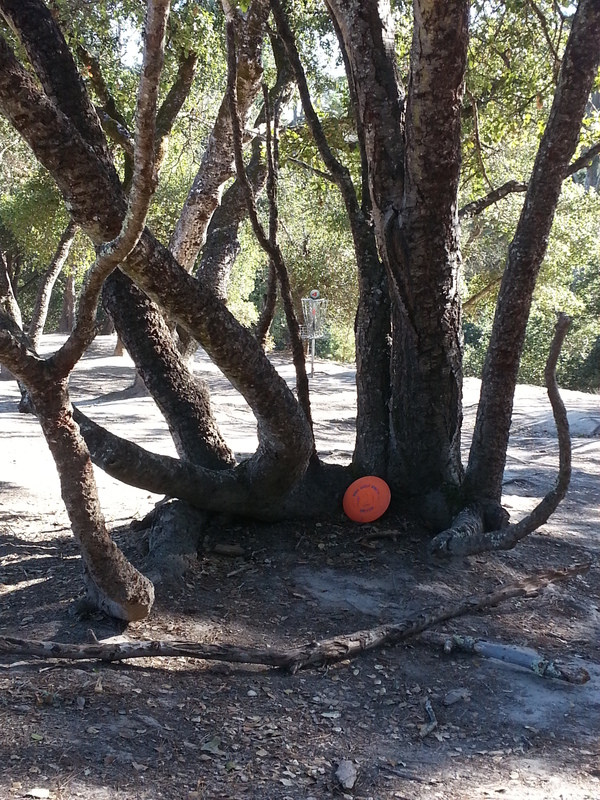 The weather was a bit brisk with no wind- perfect for disc golf at DeLaveaga. Gregory hadn’t played for more than a month, and the rust was evident early. No disasters- just drives slightly off and putts he normally drills sliding out the side or just missing high or low. An early highlight was an upshot throw from his back (no kidding) on hole 4 after hitting trees early left. He heated it in the second half, proving that it was indeed just rust and not diminished skills. And speaking of diminished skills, I made a point of telling G not to expect the game he’s used to seeing out of me, due to my shoulder problems. I then proceeded to nearly birdie hole 1, birdie 2 with a nice legal leaning putt (what others call a jump-putt), drive past the basket on 4 (missed the short but technical birdie attempt), and birdie 8 and 8a. After that, pars until bogeys on 12 and 13 followed by a birdie on 15. And the the fun began for BOTH of us. After bogies on 16, neither of us bogeyed the rest of the way. We had four star frames (19, 21, 24 and 26a) and I finished at -7. Normally that’d be good for me but not great, but compared to how I’ve felt and performed the past four months, it was amazing! The birdies on 26a were especially delicious. Gregory essentially parked it – not an easy thing on that tricky hole – and I nailed my third legal lean-putt of the round. Maybe I should cancel the appointment today . . .